How to edit and update a calendar item. You can edit and update a calendar item at any point. To start, click into the calendar item from the calendar or list view. You will land on the creative brief of the item. 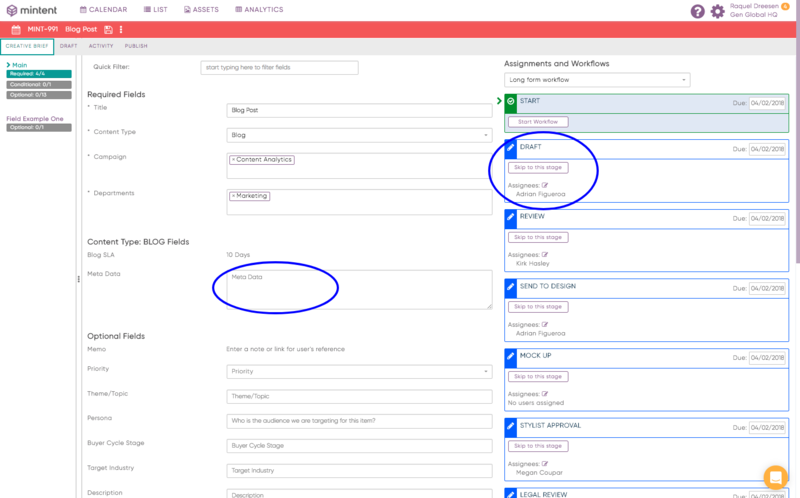 You can fill or update any fields, update workflow stages, update content in the Draft editor. 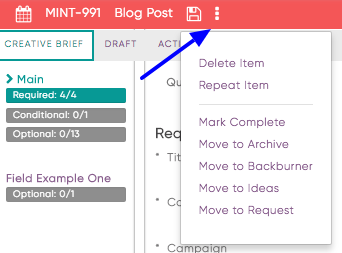 You can add comments, upload PDFs (via the creative brief or draft editor). Using the three dots on the top of the calendar item, you can delete the item, repeat it, or change it to a different status (such as archive, backburner, request, or idea).